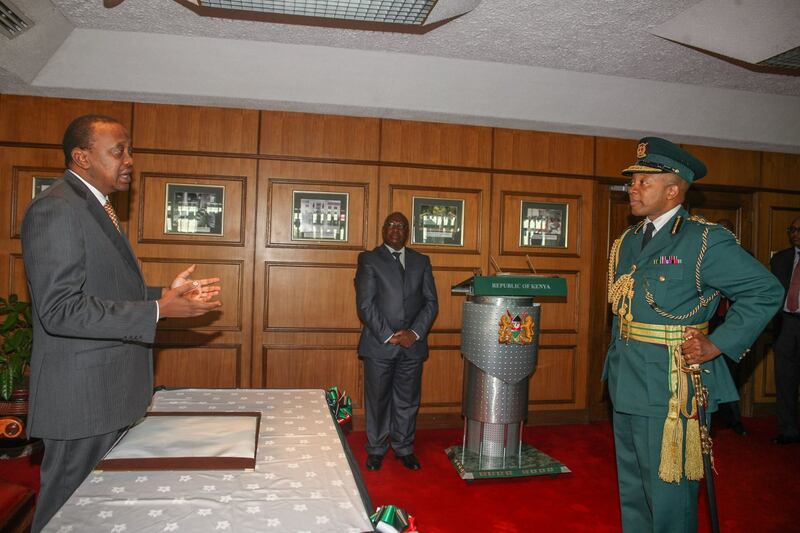 Today I witnessed the swearing-in of Dr. Nelson Githinji as the new Director General of the National Youth Service. Government is restructuring the National Youth Service to effectively execute its mandate. NYS is critical especially at this time when my Government is keen on ensuring that youth play a key role in the countryâ€™s development agenda.